Complete kit includes 14 Count Ivory Aida, pattern, threads, needle and instructions. Finished size: 12" x 9 1/2". 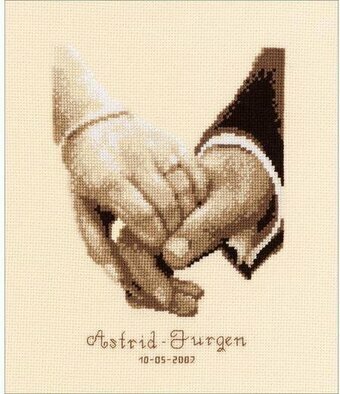 This cross stitch kit contains 14 count 100% cotton Aida fabric, one 8 inch round wooden hoop, 100% cotton DMC embroidery floss, one needle, a large full color finished model picture and instructions. Finished Size: 8 inches round.